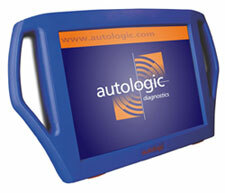 The team at Lakeside are very excited to announce that we have added to our diagnostic equipment and have invested in Autologic, which is dealer level diagnostic equipment and currently for us relates particularly to BMW, VW and Audi. This is a system which is reportedly unrivalled and allows us as an Independent Garage to be able to undertake any service and repair work required without having to involve the dealer and at far more competitive prices than you can find at the dealer. Cars are becoming increasingly more and more computer driven and it is imperative to have the ability to read the codes recorded by the computers and to then be able to fix the problem by replacing parts or coding and reprogramming, which is all part and parcel of what is undertaken by our skilled technicians. We feel that this investment complements all the other diagnostic equipment we currently use for a variety of different makes and models of car, in order that we are able to offer the best possible service to our valued customers.